The two countries share such a long border but remain very different lands. Vietnam is busy and densely populated whilst in Laos time seems to have stood still for centuries. 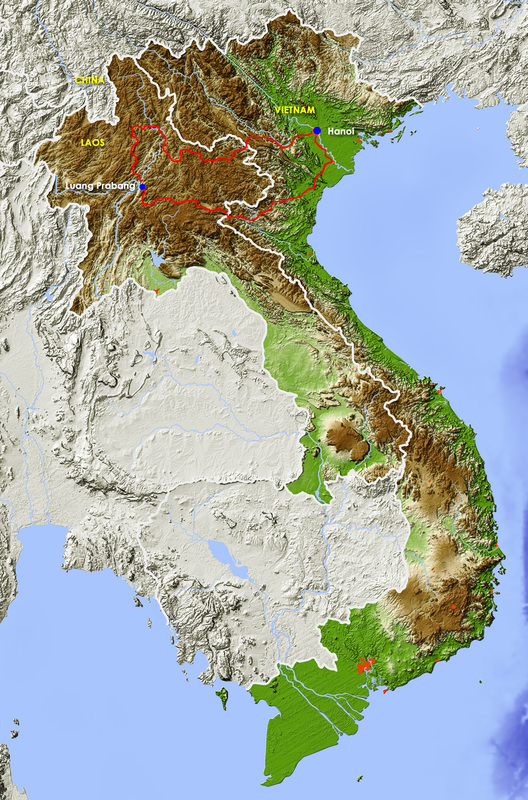 Although the countries are almost equal in size, Vietnam has a population almost twenty times that of Laos. We begin and end this trip in Hanoi, Vietnam. The trip, nevertheless, takes place largely in Laos, including the most adventurous part of the trip. 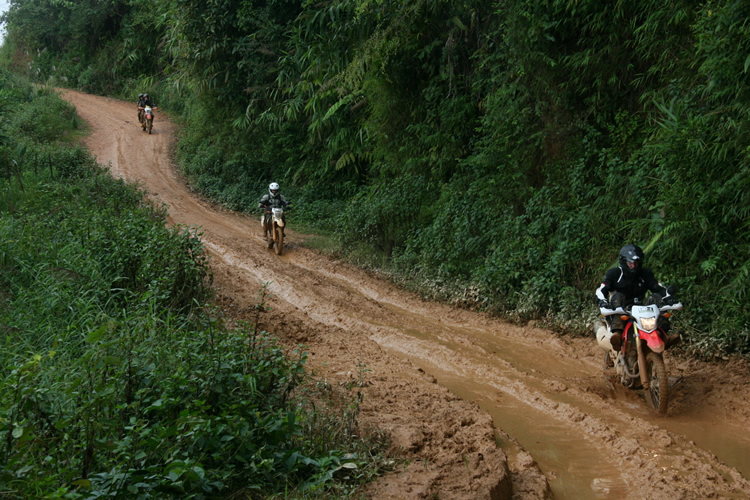 We ride from Hanoi to Laos over the course of two days. Immediately thereafter, there is an exciting ride through a nature park with tigers. This is followed by a few adventurous days on a long unsurfaced road through beautiful karst mountains. We cover the last few kilometers to the ancient imperial capital, Luang Prabang, by boat. We stay here for a day. Next we visit the area around Phonsavan, the mysterious Plain of Jars and we ride along intrepid routes back to Vietnam. This trip offers one an intense experience of the purity of Northern Laos and the peoples who live together there. It propels you back in time, taking you across rivers, narrow off-road trails and beautiful mountain passes.